A new medical marijuana guideline developed by Edmonton researchers warns physicians that the risks may outweigh the benefits for the vast majority of patients. 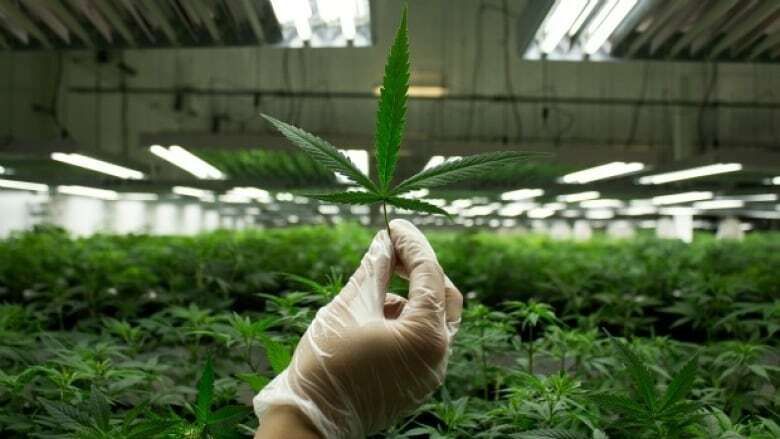 The guideline, published Thursday in the Canadian Family Physician journal, suggests the benefits of medical cannabis may be overstated, and research on its medicinal properties is sorely lacking. Canadian doctors should think twice before prescribing the drug, said Mike Allan, who led the research team. "For most things we shouldn't be recommending it, because we don't have enough research to say if the benefits of the therapy outweigh the risks of the therapy," said Allan, director of evidence-based medicine at the University of Alberta. The guideline was based on a review of clinical trials involving medical cannabis. The document will be distributed to 30,000 physicians across Canada, and is intended as a new protocol for doctors to use when deciding whether or not to prescribe marijuana. Thousands of Canadians are already prescribed medical marijuana, and that number is expected to rise after marijuana is legalized this summer. Family doctors face increasing pressure from patients asking for medicinal pot. But the study authors suggest there is little data for physicians to rely on before making that decision. Guideline authors found that, in most cases, the number of randomized studies involving medical cannabis was extremely small. In the rare instances where research did exist, the studies were narrow in scope or poorly executed, said Allan. He said mental health problems such as anxiety, depression and post-traumatic stress disorder (PTSD) are the number two reason medical marijuana is prescribed, but research doesn't support its use for those patients. "In many areas, the research was actually absent or so limited that you really couldn't make a call," said Allan. "For example, there are no studies for the treatment of depression." The guideline paper said there was also only one study on anxiety and it was unscientific. In that trial, half of the 24 patients involved received a single dose of cannabis derivative and scored their anxiety doing a simulated presentation. Louis Morin said he has been using medical marijuana for seven years to treat his idiopathic polyneuropathy. The condition is killing his nerve endings, causing burning pain in his extremities. "The pain level goes up to a 10, but normally it's about an eight. Medical marijuana will bring it down easily to a four," said Morin. The 64-year-old from St. Albert, Alta., was diagnosed with the condition 20 years ago. He said the first line of treatment with opioids such as morphine harmed his quality of life, so he eventually turned to medical marijuana. "I won't go near opioids now," said Morin. The guideline concludes there is adequate evidence for the use of medical cannabinoids to treat a handful of specific medical conditions, including nerve pain, palliative cancer pain, muscle tightness associated with multiple sclerosis or spinal cord injury, and nausea from chemotherapy. Even in those specific cases, the benefits were found to be generally minor, said Allan. "From the medical community we would argue (that) until we have research, we should hold back on prescribing," Allan said. "Particularly in any areas except the people who have failed all other kinds of therapies." "Given the inconsistent nature of medical marijuana dosing and possible risks of smoking, we also recommend that pharmaceutical cannabinoids be tried first before smoked medical marijuana." While the researchers found limited evidence supporting the use of medical cannabinoids, the side-effects were common and consistent. Common side effects included sedation, dizziness and confusion. Allan acknowledged the guideline may prove controversial, since the debate over medical marijuana is divisive. "This guideline may be unsatisfactory for some, particularly those with polarized views regarding medical cannabinoids," Allan said. "Better research is definitely needed — randomized control trials that follow a large number of patients for longer periods of time. If we had that, it could change how we approach this issue and help guide our recommendations." The research was overseen by a committee of 10 medical professionals, including doctors, pharmacists, nurses and patients, and was peer-reviewed by 40 others. Medical colleges have released some general guidelines for primary-care providers and have cautioned physicians against prescribing marijuana. A trio of advisories prepared by the Alberta College of Family Physicians in 2017 summarized the scientific literature, or lack thereof, that dealt with medicinal marijuana. Documents released by the colleges of physicians and surgeons in both British Columbia and Alberta cite the absence of reliable evidence to demonstrate the effectiveness of cannabis as medication.